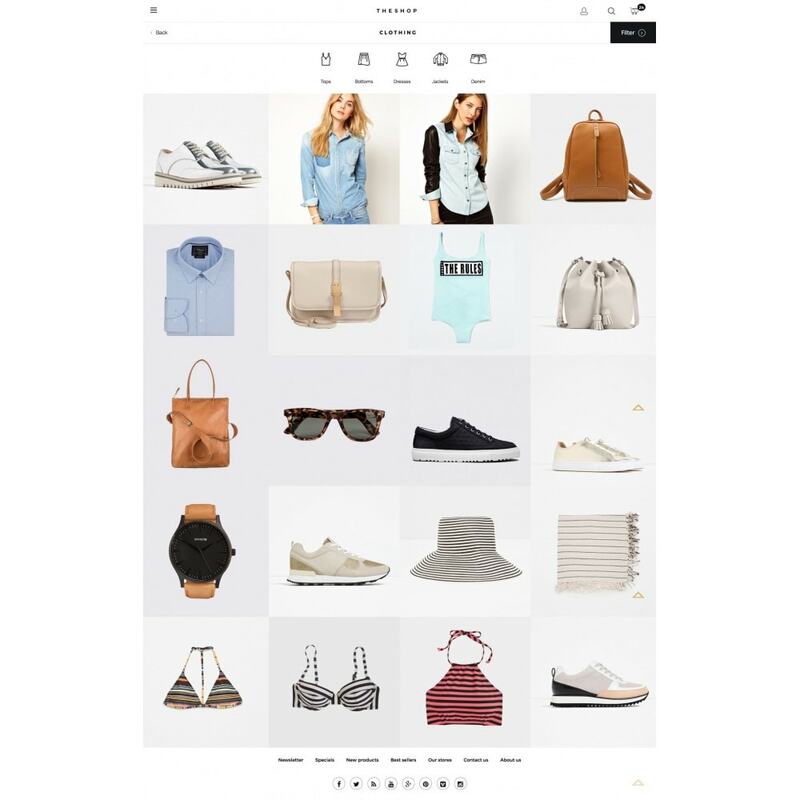 THESHOP is the right choice of a theme for stores selling apparel and accessories. The theme's main strength is its powerful UI. On home page a customer can see Static banners and follow one to open a category. 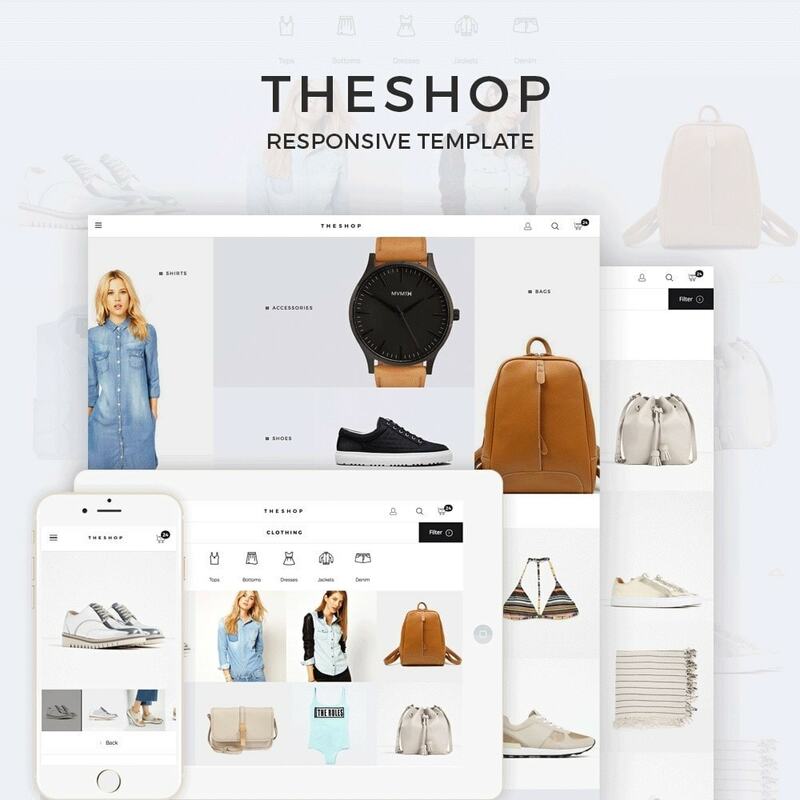 THESHOP Prestashop theme has a flexible set of options and can be configured and customized for different kinds of shops. 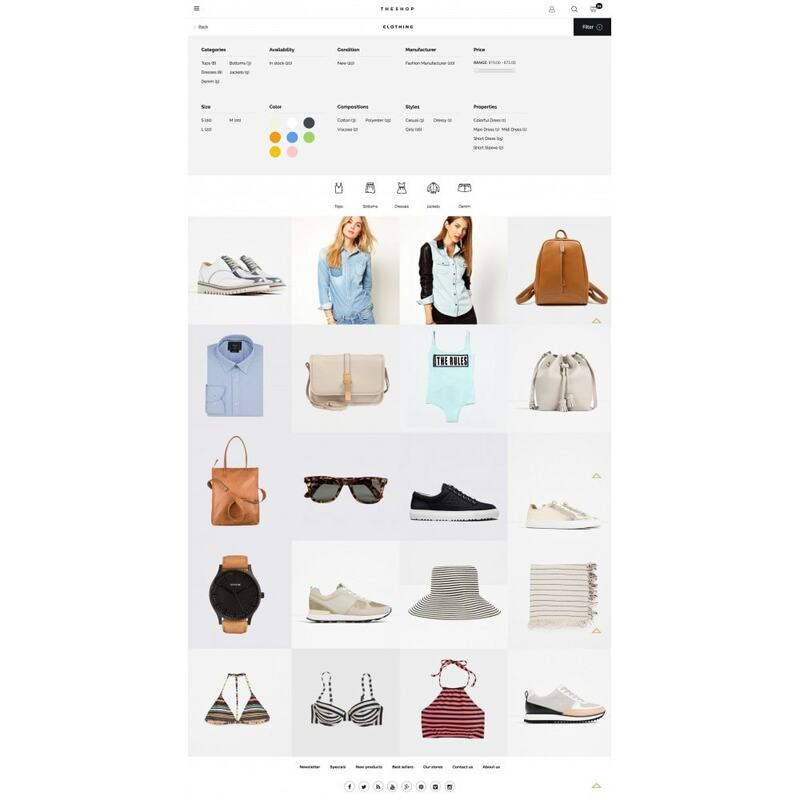 As featured on demo version of the theme, a variety of products can be sold using this theme : T-Shirts, Bags, Shoes, Accessories. The products can be featured as New Arrivals, Popular and Bestsellers. The shop can be quickly connected to Social networks. 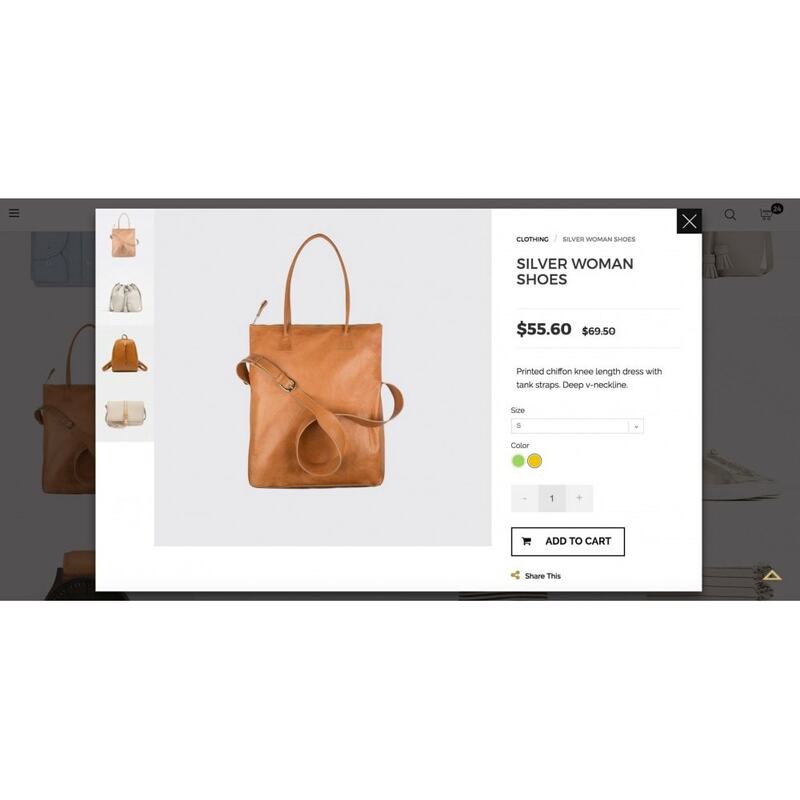 The friendliest UI ever can enhance customers' shopping experience. 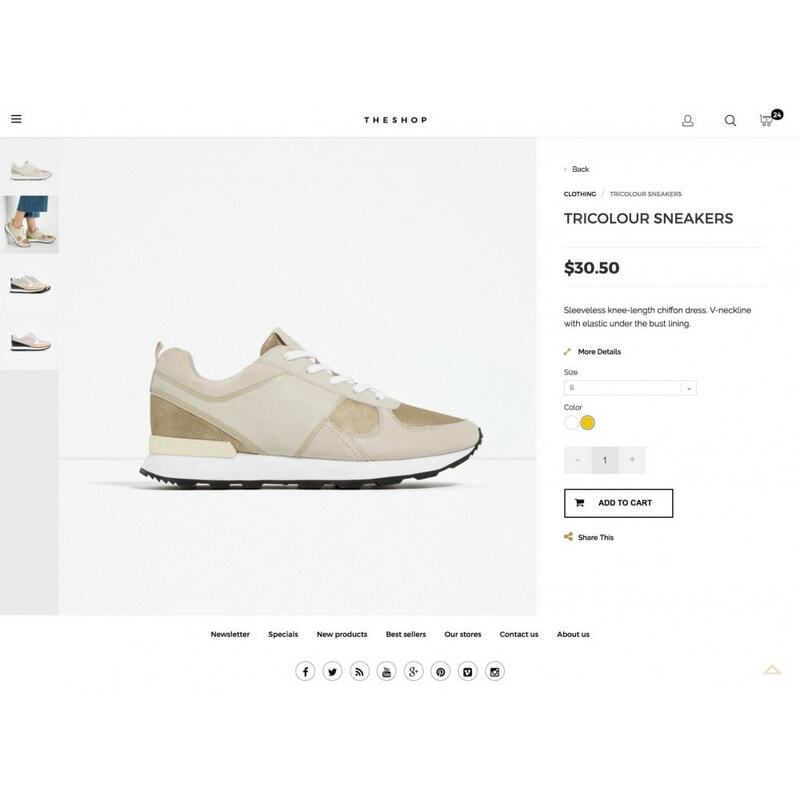 A clean design and a fresh look of each category and subcategory let customers enjoy their shopping experience and like the store as this theme can satisfy the aesthetic taste even of the most meticulous customers.